Carnival Cruise Lines- Carnival staff will change diapers. Guests are asked to provide the diapers and wipes and label them in the playroom. Carnival Cruise line does not accept children under 2 in their Camp carnival program. Children who are not toilet trained are not allowed in any of the water facilities onboard, this includes children in swim diapers. Costa Cruises: Costa Cruises’ children’s’ programs accept children 3 and older and they must be out of diapers. Fred. Olsen Cruise Lines-Fred. Olsen Cruise Line does not offer babysitting or child-minding services. P&O Cruises-Staff will change diapers of children in the children program if the parent supplies consent to do this on the registration form that must be completed as part of the initial registration. Parents are asked to supply diapers and wipes. P & O Cruises Australia-Only toilet trained children are allowed to participate in the children’s program without a parent being present. Your Cuba Cruise-The minimum age to participate in the kids club is 4. MSC Cruises-To participate in MSC’s children programs children must be 3 years old and potty trained. MSC Cruises offers a new MSC Baby Care Services for children 1 to 3 years old. It is available when the ship is at sea for limited times. They will change diapers. Babies in diapers are not allowed in the swimming pool. Norwegian Cruise Line-Norwegian Cruise Line will accept children who are not potty trained into their children’s program, but they will not change diapers. Parents will be given a beeper to alert them when their child needs a change. Children must be fully toilet trained to enter in the pools, swim diapers may not be used in the pools. Royal Caribbean Line– All children participating in Royal Caribbean’s Adventure Ocean activities are required to be 3 years of age, 100% toilet trained and diaper and pull–up free. Children must be fully potty trained and not in swim diapers to use the pool. Viking Oceans Cruises-There are no children’s programs on board. Celebrity Cruises-To participate in Celebrity Cruise Toddler time for children under 3, children do not need to be potty trained but they must be accompanied by a parent. To participate in Shipmates children must be 3 years old and fully toilet trained. Staff will not change diapers. 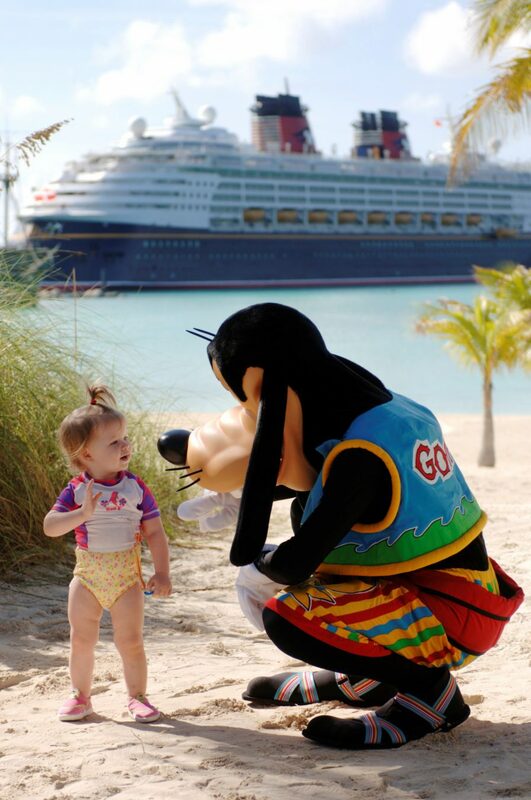 Disney Cruise Line-Disney children’s club is for children 3 and older and they should be potty trained. Disney does offer nurseries on all ships for children under 3. The nursery programs are not complimentary, there is a per hour fee. Guests are asked to bring diaper supplies. Holland America Line-All children participating in Holland America Line’s children’s program must be fully toilet trained. No diapers or pull–ups are permitted in the Youth center. Princess Cruises-Princess Cruises’ children’s program is designed for children 3 and over. Children must be potty trained. Staff will not change diapers. Children must be potty trained to use the pools. Azamara Club Cruises- There are no children’s programs on Azamara Club Cruises. Cunard Line-Cunard’s onboard nannies will change diapers as long as parents sign a consent form. Oceania Cruises– Oceania Cruises does not provide for the care, entertainment or supervision of children. Hapag-Lloyd Cruises– Complementary children’s programs start at age 4 and children must be potty trained. Hapag-Lloyd offers the Knopf Club children’s program for toddlers 2-3 year old is subject to a per day fee. Paul Gauguin Cruises- There are no children’s programs on Paul Gaugin Cruises’ ships. Regent Seven Seas Cruises Regent Seven Seas Cruises does not provide for the care, entertainment or supervision of children. Seabourn- There are no special programs for children. Seadream Yacht Club– There are no formal children’s programs or babysitting services available on the yacht. Silversea Cruises- There are no special programs for children on board. Blount Small Ship Adventures– There are no children’s programs on Blount. Hebridean Island Cruises– There are no child-specific programs on Hebridean. Great Lakes Cruise Company There are no facilities for children on board. Saga Cruises– Saga Cruises are exclusively for those aged 50 and over so there are no children or teenagers on board. Swan Hellenic There are no recreational facilities for children aboard Minerva and reservations for children are not advised. Voyages to Antiquity. There are no facilities for children on board. Voyages of Discovery There are no children’s facilities on board. Children under 11 are not encouraged. AmaWaterways – AmaWaterways does not provide child-specific programs or child-minding facilities. American Cruise Lines– American Cruise Lines does not offer children’s programs. American Queen Steamboat Co.- The line does not offer children’s programs. Avalon Waterways– There are no children’s programs onboard. CrosiEurope River Cruises– No children’s programs onboard. Emerald Waterways– No children’s programs onboard. Scenic Tours/Scenic Cruises– There are no children’s programs aboard Scenic Cruises. Tauck River Cruising– No children’s programs onboard. Uniworld Boutique River Cruise Collection- There are no special arrangements, activities, or accommodations for children on Uniworld river cruises and tour programs. Viking River Cruises– Viking River Cruises does not maintain facilities or services for children aboard river cruise vessels. Abercrombie & Kent– No children’s programs onboard. A-Rosa Cruises– No children’s programs onboard. European Waterways– There are no child-specific programs on European Waterways. France Cruises– There are no child-specific programs. French Country Waterways– There are no child-specific programs. Alaskan Dream Cruises– There are no child-specific programs. Ecoventura– There are no child-specific programs. G-Adventures– There are no child-specific programs on G Adventures. Hurtigruten- There are no child-specific programs on Hurtigruten. Lindblad Expeditions- Programs are designed for older children. Poseidon Expeditions– There are no formal children’s programs on Poseidon. Un-Cruise Adventures– There are no official children’s programs onboard, and the recommended age to sail is 12, with some exceptions. Ponant– Children under 3 years of age are not authorized to sail.